Recently, I attended the Power UP Exhibition in MOSI, Manchester. This exhibition, covered a bit in the preview here is a showcase of the greatest games, all neatly arranged into an exhibition. I must admit, I’ve been a few years before, but this is the first time I attended an afternoon session at the weekend, so I could spend a bit of time looking around and covering this event for this here blog. No distractions! I was greeted at MOSI Manchester (one of the best museums in Manchester, if you must know) with the smiley happy faces of the staff. They guided me to where the exhibition was. Although there was more branding on show this year (and the branding is awesome), the room is the same one as always – the one in the back of the museum, second floor. An exhibition space, of course, so perfect, but it could be easily missed. Once in though, there’s no mistake, as games and games are laid out in an easy to notice format. You have sections dedicated to popular franchises such as Sonic, Pac-Man and Super Mario, but also you have areas dedicated to Disney games, beat-em-ups, movie tie-ins, multiplayer games, as well as areas for two showcase titles: Minecraft and Fortnite (the latter is obviously new this year). 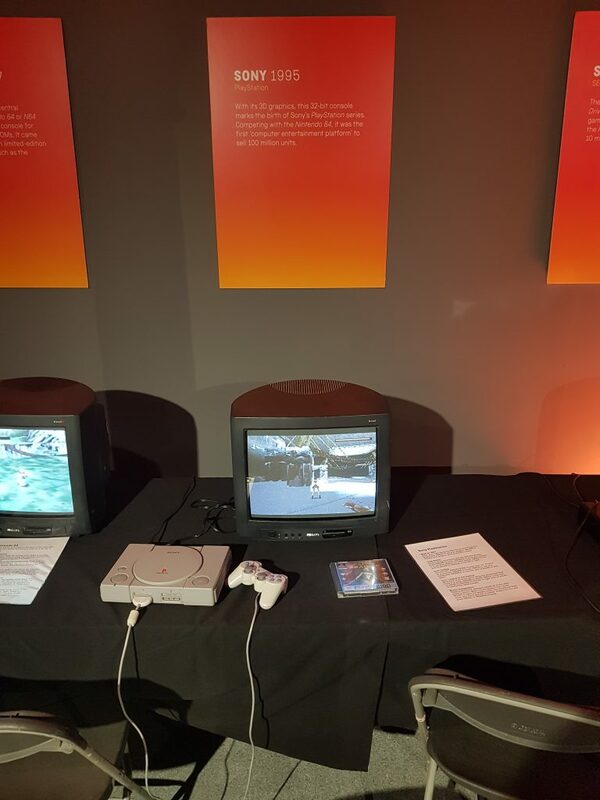 One feature I did like was on one of the walls was dedicated to everything from the Binetone to the Nintendo Wii and it detailed each and every major console and computer between the two, each showcasing a very good game from each. It provided a history element and an education to each visitor, should they pull themselves away from the game. 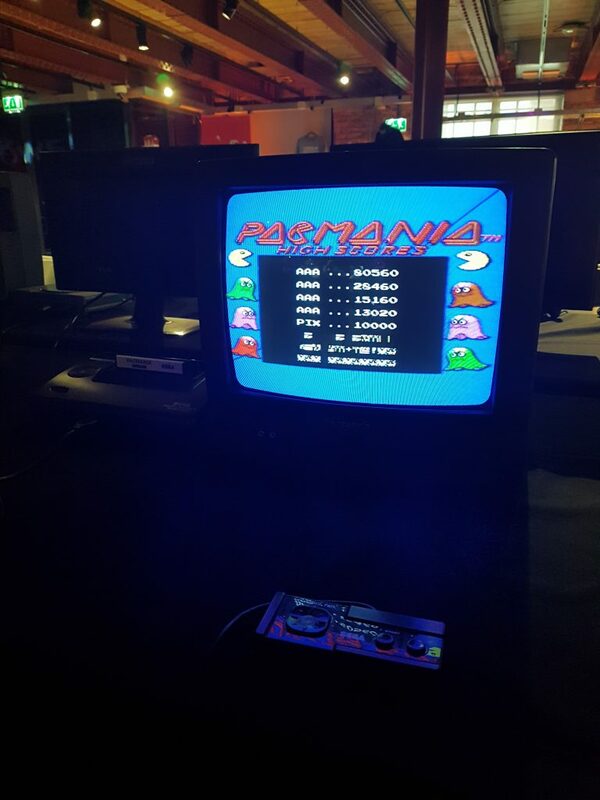 When I arrived I was drawn to Pacmania – which was one of my favourite games from the Pacman franchise, but a game I never knew came out on the Master System. I also spent a lot of time in the area dedicated to football games – two games they had in the area were Striker for the Super Nintendo, and ISS Pro for the PS1: two games I had spent ages playing on in my youth. Dominating the room was 16 or so computers each running a massively long team game of Halo 3, which I played for a fair while. I also mainly occupied my time in the beat-em-up section. I have a lot of love for Marvel vs Capcom 2, and I managed to play on the Dreamcast version for a decent length of time. I also rekindled my love for Tekken 2, as well as play the rather excellent Street Fighter V.
There was also a VR section, but unfortunately I didn’t manage to play on that. So what of the exhibition. Well, if you are a seasoned gamer there’s nothing here that will surprise you. However it’s well worth visiting to play on some of the rarer systems. 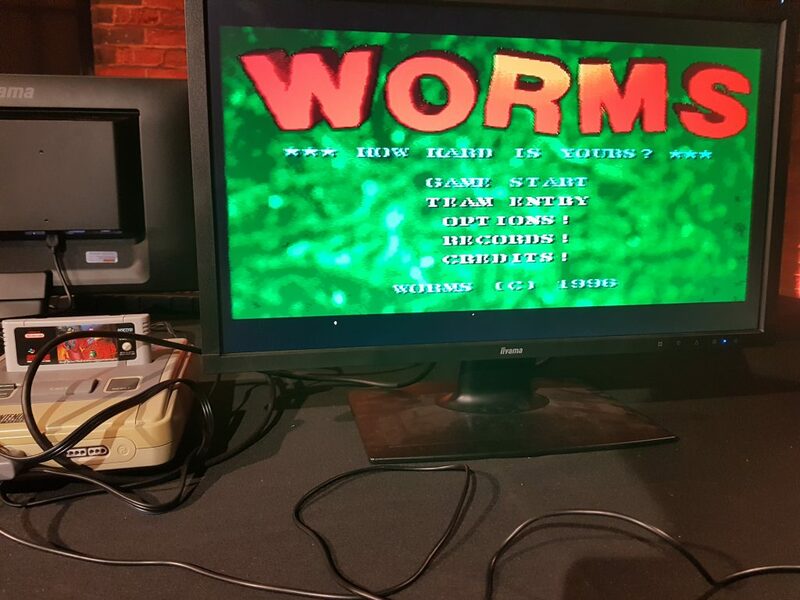 It’s also well worth attending if you have a friend or partner who may not be interested in gaming but you want to get a few games as every single game they showcase is a classic. 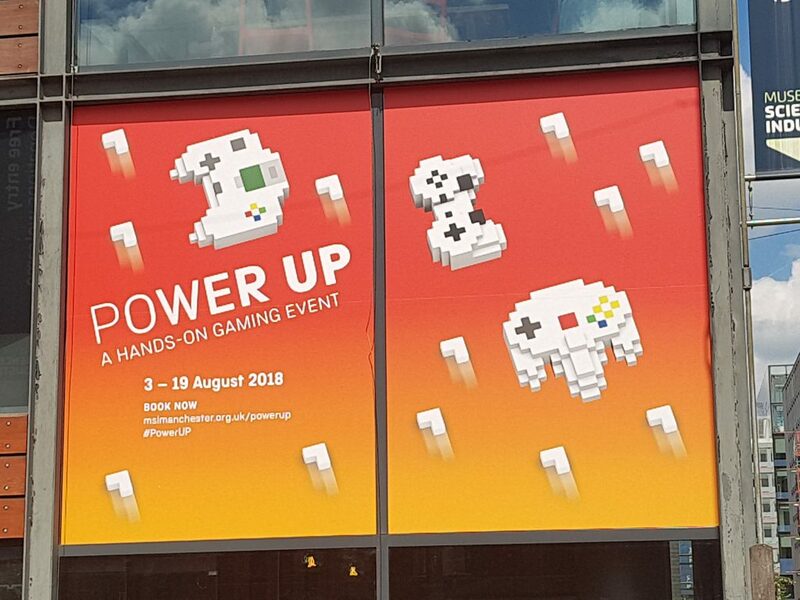 Power Up Manchester runs until the 19th August, tickets are available here.